WILMINGTON, Del. 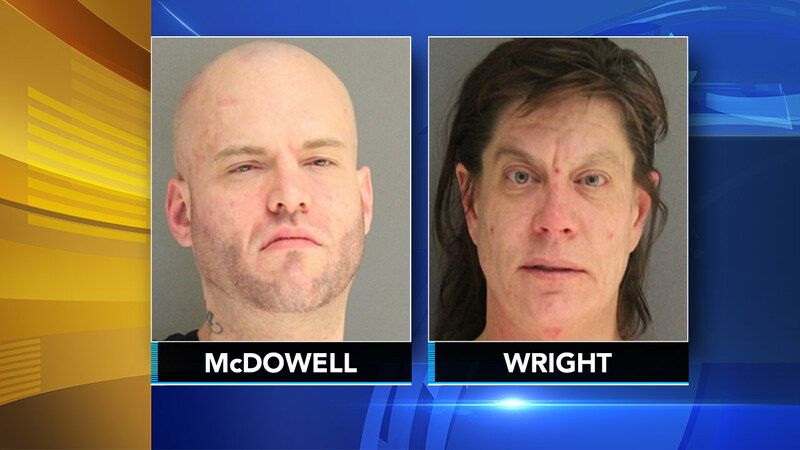 -- Delaware state troopers say they arrested two shoplifting suspects the easy way: The pair inadvertently turned themselves in at a police station. Delaware State Police said Wednesday that Christopher R. McDowell and April J. Wright had been wanted on shoplifting warrants for an incident at a department store in February. On Tuesday, police said McDowell was arrested when troopers recognized him after he walked into a police station and asked for a ride home while apparently intoxicated. After McDowell was arraigned and released, Wright showed up the station to pick him up and was arrested herself, police said. Efforts to reach McDowell and Wright for comment were not immediately successful.